There is a bill moving through City Council that will eliminate an important ethical safeguard that has existed for almost three generations - since the adoption of our current City Charter in 1952 - and is progressing with neither controversy nor complaint. A vote is scheduled for Thursday. On behalf of the Kenney administration, Council Majority Leader Bobby Henon introduced Bill No. 160971, which would seismically change the standards by which the City of Philadelphia awards contracts. Mayor Kenney and Henon want to retire the venerated standard of "lowest bidder" and replace it with "best value." In the bill, "best value" creates a list of additional factors that can be considered in making awards. Those additional factors may or may not be smart things to take into account but they clearly make the award of a contract a matter of argument. By scuttling "lowest bidder" - an objective standard - these men are swinging open the door to political pressure in an arena that has been admirably free of it. At the instant the standard is made "arguable," lobbyists, donors, and pols will be aggressively looking to influence awards. 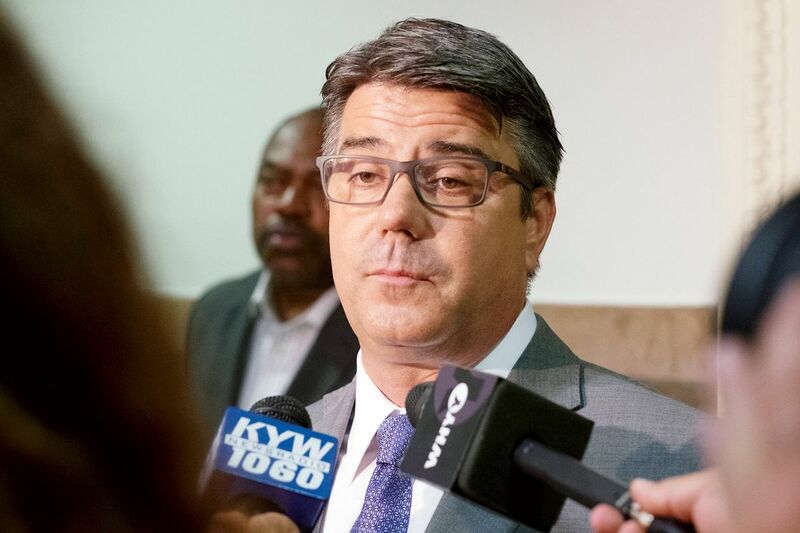 The bill would provide the Kenney administration with the tools to steer contracts to donors or other favored firms, substantially increasing an ability to fund raise. The universe for backroom favor-trading would have radically expanded, with the additional benefit of being able to punish nonunion vendors. The sponsors will tell you that this change, which ultimately requires public approval, is a "modernization" and "increases options for the city." I will tell you, as a former deputy managing director under Mayor John Street, that "lowest bidder" protected me from any "interference" as I shepherded $120 million in demolition contracts. Whatever other ethical failures occurred elsewhere in the administration, "lowest bidder" made my office a conspicuous oasis, free of political meddling. Right now, millions of dollars the city spends on professional services are not competitively bid. This is what allowed Kenney to simply hand an $800,000 no-bid contract to the law firm of Ken Trujillo, who is tied to various donations to Kenney's mayoral campaign. Both Kenney and Trujillo would claim to be more pure than Caesar's wife in this matter, but they have allowed for an appearance of "pay to play" with regard to this contract. If Kenney and Henon prevail, there won't be one single city contract that's awarded without "argument" and the potential for decisive political intervention. This is especially concerning given the mayor has announced his plan to spend $600 million on recreation centers, libraries, and parks. Imagine $600 million being awarded - not on the basis of "lowest bidder" but, on the vague basis of "additional considerations." This "modernization" may well cost the city more money once an army of politically connected vendors realize they can get a city contract without "sharpening their pencils." Once political connections have been demonstrated, vendors are not likely to be challenged when they submit a deluge of change orders - price increases - while the contract is underway. Philadelphia exists in an ethical valley with state reps, a congressman, and Traffic Court judges tried for corruption in recent years. Equally relevant is the ethical cloud that exists near Kenney. In August the FBI raided homes and offices as part of an investigation of electricians union leader John J. Dougherty, a Kenney supporter. The FBI also searched the City Hall office of Henon, a Dougherty ally. With six co-sponsors, the Kenney/Henon measure already has 70 percent of the needed votes to get approved by Christmas, putting it before voters in the spring. But it's not a done deal. At one point during his time as mayor Michael Nutter seemed determined to commit the city to build a new prison and was prepared to buy the necessary land. Two groups - those who didn't want a new prison near them and some who thought a new prison sent the "wrong message" - combined to kill the land acquisition, which ultimately killed the plan for the prison. The same opportunity for civic engagement exists in the fight against "best value" contracts. It's an uphill battle, but Philadelphians must be ready to raise our ethical standards even as our politicians seem determined to lower them.